Do you want to know if you can do laser engraving or cutting of Precision Board HDU? Lasers can be an effective means of cutting, engraving, and marking various materials. High power, high-wavelength Carbon Dioxide lasers are widely used for material processing, namely for their versatility and relatively low cost as compared to solid-state laser systems. 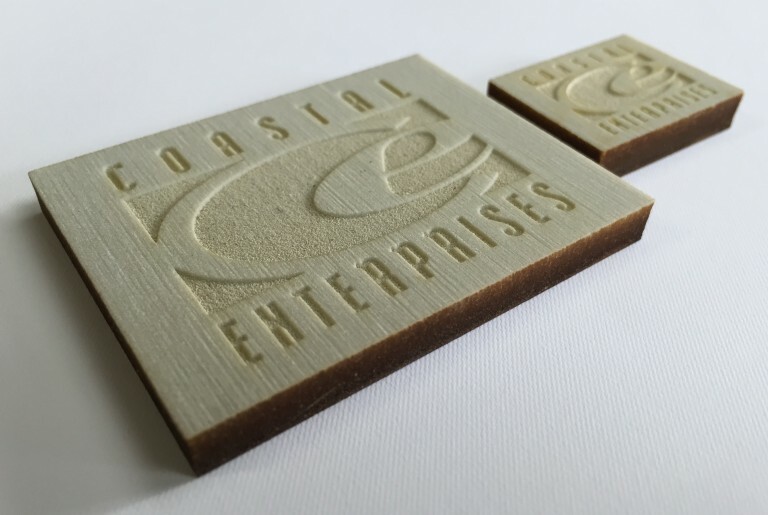 CO2 lasers are ideal for projects that require cuts or engravings so precise that they prevent the use of hand tools, or even a CNC router. Read on for more information on how lasers interact with Precision Board HDU. Lasers are extremely versatile, able to cut a wide variety of materials and need no additional setup, i.e. chemical additives or post processing. Ease of use, with software packages compatible with most graphics programs. Low energy consumption and speedier processing times. Minimal equipment maintenance with low wear and tear due to no-contact process. Reduced waste and by-product because output is vapors which can be exhausted or ventilated with an air-filtration system. Consistent quality level due to ability to save parameters of specific jobs and materials in database. 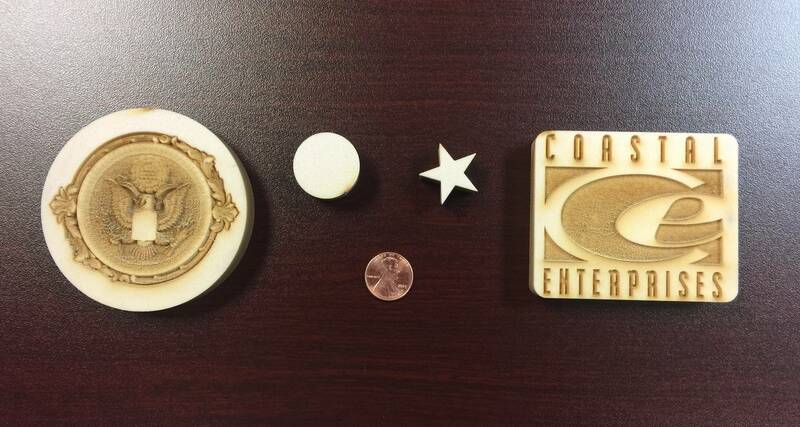 Our friends at Trotec Laser cut a variety of shapes out of PBLT-15 Precision Board, including our logo and a highly-detailed relief and sent us setting information. Read the blog HERE for full settings information and to watch all the videos. 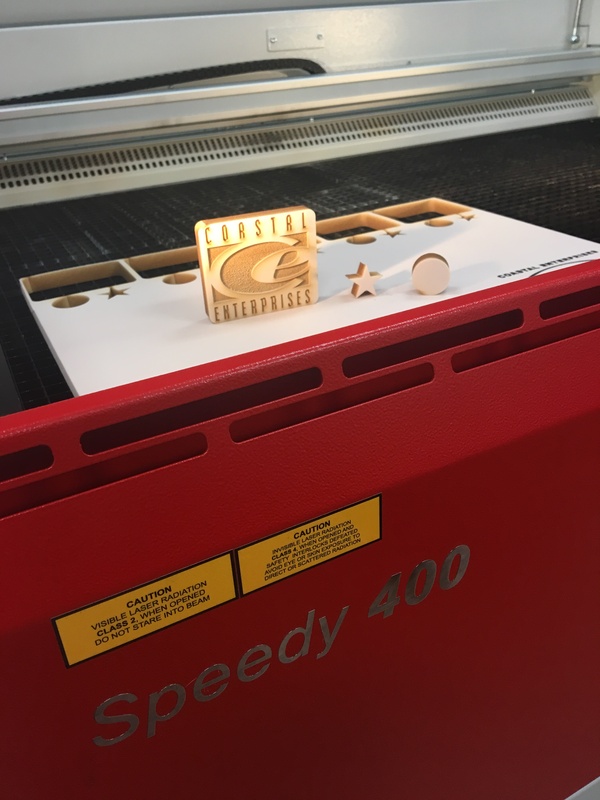 Our good friend Jim Dawson from Synergy Sign & Graphics LLC tested out his 75 watt Vytek laser cutter on a few different densities of Precision Board HDU and sent us the results. You can watch those videos and get settings information in our blog HERE. You may be concerned with the toxicity of using lasers on Precision Board, but you shouldn’t be. According to a study conducted by Universal Laser Systems on the effluent created from laser cutting several different densities of Precision Board indicated that, “the effluent stream is primarily composed of carbon monoxide, acetone, propene, and acetonitrile. The concentration of the detected compounds did not exceed their respective OSHA PEL at any level of filtration during this study.” Permissible Exposure Limits (PEL) are federal regulations that dictate safe chemical exposure levels. Read more HERE about the testing methods used and see photos of the various densities after laser-cutting. You can request free samples of Precision Board to try for yourself or give us a call at 800-845-0745 to answer any technical questions you might have about laser engraving Precision Board HDU.